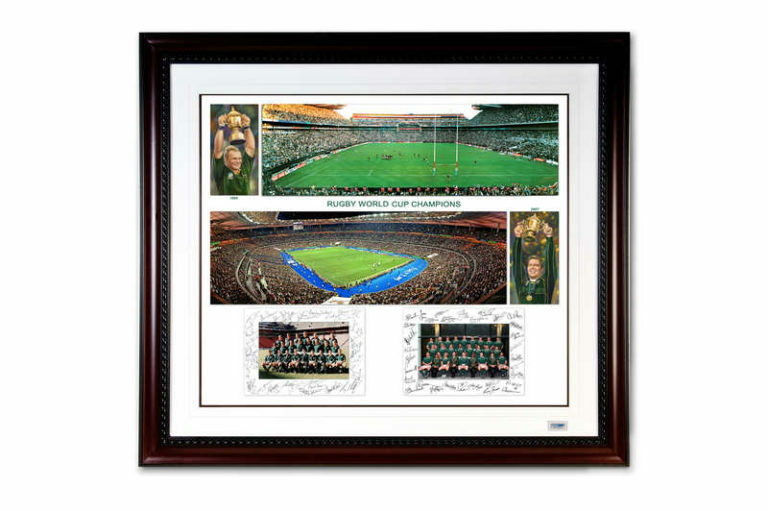 A great piece for any South African celebrating our double World Cup Rugby victories in 1995 and 2007. 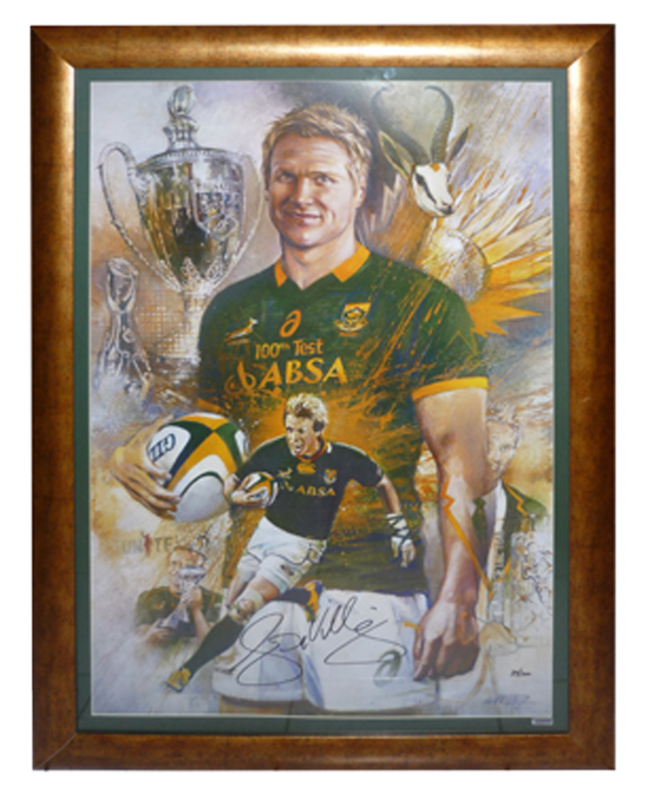 A photo of the two stadiums packed to capacity with iconic moments and the respective captains Pienaar and Smit with the World Cup trophy. The team photos with print signatures around it are at the bottom of the image. 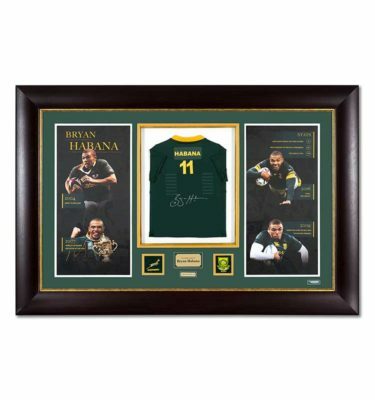 A must have piece!